St. Charles, MO (March 3, 2019) – The Milwaukee Wave have dominated the MASL South Central division much of the season and they demonstrated that dominance Sunday at the Family Arena, handing the St. Louis Ambush a stinging 6-2 loss. 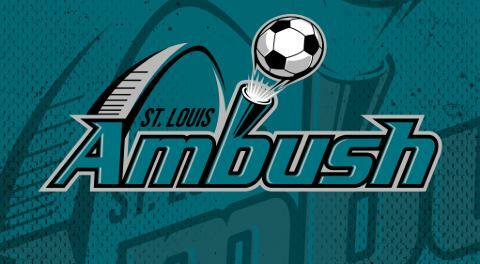 The Ambush were shut out in the first half, thanks to first quarter Milwaukee goals by Max Ferdinand and Marcio Leite. The second period saw tallies from former Ambush player Chad Vandegriffe and Guilherme Veiga, giving the Wave a 4-0 lead at halftime. The second half started in unusually quiescent fashion, with neither team finding the back of the net in the third quarter. With the Ambush on a power play in the fourth quarter, Angel Curiel scored a short-handed goal for the Wave to make the score 5-0. The Ambush finally got on the board when Clayton scored on a long, hard shot from well outside the arc at 9:47 of the fourth frame. With the sixth attacker in play for the Ambush, Ian Bennett went on a breakaway and easily found the back of the empty net to make the score 6-1. The Ambush answered on another rocket from Clayton with 11 seconds left in the match to make the score 6-2. Next for the Ambush is three consecutive road games starting with a visit to Lakeland, Florida to duel the Tropics on March 10, then battling the Wave in Milwaukee on March 17, then squaring off with the Kansas City Comets in Independence on March 23. After three on the road, the Ambush return home for the regular season finale when the Wave invade the Family Arena Friday, March 29 at 7:35 p.m. CDT. The first 1,000 fans in attendance March 29 will receive Ambush Player Card Set #5.